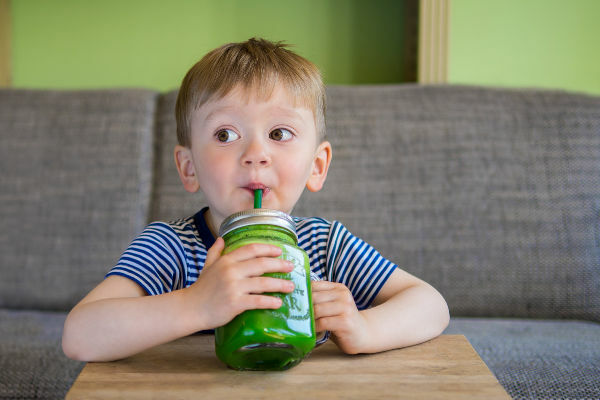 Veggie smoothies are a great way to get nutrients into your kids. One of the biggest questions most parents of picky eaters (or just young children!) will ask is for tips on how to get more veggies into their kids’ diets. 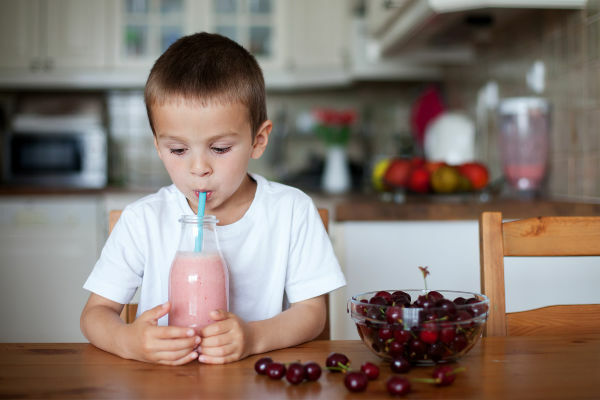 Smoothies for kids are a great, easy way to get more produce into them without the struggle. Blend up some greens into their favorite drinks and you’re good to go. Here you’ll learn about what are the best vegetables for smoothies. 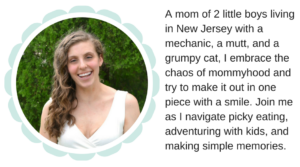 Whether you’re struggling to get your toddler to eat better or just trying to balance your own diet, this post is for you. We’re dairy free – can I make a smoothie without dairy? Veggie smoothies aren’t sweet enough – what can I do? What are the best vegetables for smoothies? 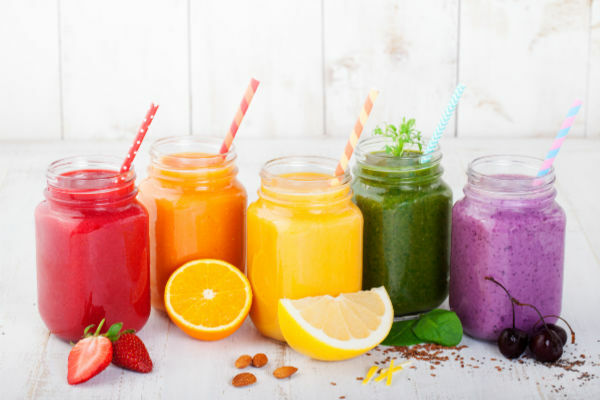 How can I find and add superfoods for smoothies? Help! My kids only like the store bought smoothies! Should I use fresh or frozen fruits and veggies in smoothies? If you enjoyed these tips, you may enjoy these posts.. But the real reason I love serving the boys my secret weapon is that I can get veggies in there. I can add nutrition to their diets without a complaint. More veggies, less struggle, which is basically my motto and parenting philosophy. Every time I tell people my kids gobble up smoothies packed with vegetables, I immediately get questions. Either parents haven’t heard of this sneaky strategy or they’ve tried it and their kids weren’t thrilled. 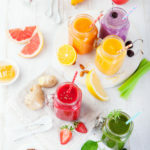 While it’s not rocket science, I have discovered a few tips to make the best veggie smoothies that are vital to my success. Green drinks are one of the most sneaky veggie recipes. Use frozen vegetables in smoothies to make getting leafy greens in simple! Blend your vegetables and liquid first. This helps them get as smooth as possible. No one will be able to tell spinach is hidden in their smoothie if it’s completely blended in! Try baby food. My favorite option for super smooth veggie smoothies is to grab a jar of baby food and blend that in. With baby food, you’ll still get the fiber of a vegetable but it will melt away into the drink more than if you blend them in whole. Furthermore, make sure to keep a close eye on the ingredients of the baby food. Try to find ones that have one ingredient when possible and no fruit. The fruit will just take up space and you will be adding fruit to the smoothie later. Either fresh or steamed/defrosted frozen options will blend into your smoothie the easiest. Steamed spinach will basically fall apart in a smoothie, which is perfect. Same goes for carrots and beets. If you using frozen vegetable, stick to things like broccoli and cauliflower. Alternately, a vegetable with a high sugar content like butternut squash will not freeze as solid, making it easier to blend. Next, choose super sweet fruit, especially when first starting to add veggies. A banana or two will cover up any unfavorable taste and make it super creamy. In addition, fruits like mango, strawberries, pineapples, and cantaloupe will go a long way because of the sweetness. Complement these with fruits that sometimes have a more delicate taste, like pears, honeydew, and raspberries. Skip the juice and use milk and yogurt for creaminess and whole fruits for the fruity taste. Fruit and vegetable juices contain none of the fiber that whole foods have. Fiber is vital for your body, but sometimes hard to ger for picky eaters. Start with sweeter veggies. Carrots, sweet potatoes, peas, corn, and butternut squash will offer vitamins and nutrients while remaining less detectable. Try pouring the drink into a solid colored cup with a lid before serving if the color is a problem. After kids take a sip and see for themselves how delicious it is, you’ll be good to go. You can also make it into a game – blindfold your kiddo and ask what they can taste! Another option for masking the look is using darker hued fruits like blueberries or lighter vegetables like cauliflower. Also, try pairing fruits and vegetable of similar colors. For example, if using carrots or sweet potato, consider an orange or cantaloupe flavored smoothie. In many ways, hidden veggies are a mind game. If you kiddos need an extra boost, you might want to consider adding a nutrient or protein powder. If serving to your kids, make sure you check in with your pediatrician before doing so and keep an eye on the ingredients and sugar content as well. We enjoy KidzShake powder and I’ve also used a toddler powder from Enfagrow in the past. Looking for more ways to sneak veggies into everyday foods everyone will love? From baked goods to simple dinners to smoothies, the Outsmart Your Picky Eater cheat sheets will teach you everything you need to know about hidden veggies. For sure! We were dairy free for about a year after Ryan was born and it’s totally doable. Here are some ways to make dairy free or vegan smoothies. Try a milk alternative Coconut milk and cashew milk are perfect for the creaminess aspect. Make sure to keep an eye on the sugar content. Some of the storebought nut milks can have a ton of added sugar. Omit yogurt and milk completely and instead use banana. These will add the creaminess while making the perfect dairy-free drink. Use fresh or defrosted fruit. These will blend smoother than the frozen varieties and need less liquid to thin it. Looking for other ways to make your dairy-free drinks super creamy? Try avocado or sweet potato! These will add fiber, healthy fats, nutrients and more that liquids will not. Try this dairy-free smoothie recipe for a pina colada breakfast smoothie made by my dair-free blogger friend! 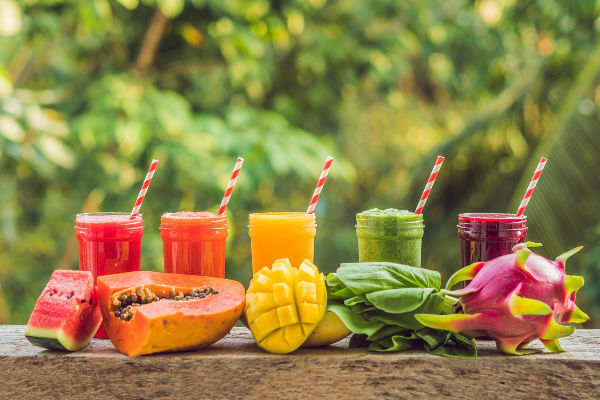 Do you prefer special drinks from commercial smoothie stores? It’s a good guess that you don’t find homemade versions sweet enough. No worries, we’ll get there. Here are some tips on how to make them sweeter! Use the sweetest fruits you can find. Typically, this means buying the more expensive bag of frozen fruit. Alternatively, use fresh fruit that is in season to ensure peak ripeness. Add an extra ripe banana. Bananas add a ton of sweetness to veggie smoothies if they’re super ripe. I tend to buy an excess of bananas at all times and then freeze them at that perfect overripe state for baking and blending. Use the fruits with the most natural sugars. Pineapple, sweet cherries and mango come to mind as the most consistently very sweet. Strawberries and blueberries in my experience are hit or miss in terms of sweetness. Add some natural sweeteners. If you really need some extra sweetness, try to use a natural sweetener like honey or maple syrup. Over time you can reduce the amount of sweetener you use until your taste buds get used to it. Want to trick your kiddos with every meal? Try this: Over 100 Hidden Veggie Recipes Your Kids Will Love! In general, you can toss any vegetable into a smoothie and make it taste good. But, there are definitely some that will give you the best results. Greens. Leafy greens are a smoothie’s best friend. They blend up so well, the taste is easily overpowered, and the color is fun! You can easily cover the green up by adding something like blueberries. Sweet potato. Cooked sweet potato is the perfect vegetable for a blending. Naturally sweet, it adds a delicious thickness and creaminess to your drink. Beets. Simply buy a package of pre-cooked beets and toss some in. They add sweetness and a really fun pink color to food without a ton of effort. Peas. Not only are peas sweet, they are packed with protein! If possible, frost your peas to ensure they blend in smooth. Peas are perfect to add to drinks that aren’t using super sweet fruit. You don’t need to cover the taste as much. Squash. From zucchini to yellow squash to pumpkin, these are the perfect vegetable. When fresh, they are packed with vitamins and nutrients as well as soft. They blend up smooth as well as having a very light taste. Avocado. Pack in some healthy fats by blending in some fresh avocado. You don’t notice it in your favorite guac, but avocado is slightly sweet, making it the perfect addition. Cauliflower. The flavor is so light and since it’s white kids won’t notice it at first glance. cacao nibs. Add some chocolate flair with cacao nibs! I like to add a tablespoon or two to a cauliflower, banana, peanut butter smoothie for a fun chunky monkey style. My kids think they’re chocolate chips. chia seeds. Be sure to blend these in well or allow them to soak in some liquid before adding to the blender. This will help to avoid any texture issues. flax seeds. Add some Omega 3’s to your smoothie by adding some flax seeds. I like to use the ground ones to make sure they get blended in well. coconut oil. To be honest, not my favorite add-in since it can be a weird texture. It can clump up in a smoothie leaving a chunky texture. goji berries. Toss a tablespoon in for some extra antioxidants as well as some plant protein. hemp seeds. Perfect for omegas, fiber, and protein! This is such a pain – I get it! There are a few factors here to address, mainly the sweetness and excitement. Most commercial brands are sweetened by some kind of nutrient powder or sugar. In many cases, the fruit is sitting in syrup. Also, there is the mental block of, “Everything is better when it’s not at home.” No worries, here are some simple ways to overcome the hurdle. Try natural sweeteners. Stevia, honey, and maples syrup are all great options. Even try using a bit of normal sugar to add some sweetness. Chances are that it will still be MUCH less than ones you buy in stores. Weigh your options and make a decision that’s right for you. Make it fun by getting them involved! I’m a big believer in the thought that kids are way more likely to try something if they had a hand in making it. Ask them to help you blend, put things into the blender, or pour the drink. Whatever you’re comfortable with is sure to get them excited to try. Have specific, fun smoothie cups. My boys know that when these specific cups come out of the cupboard, it’s smoothie time. They get excited about their fun, special cups! This really depends on what you’re adding, the texture you’re going for, and how much liquid you want to add. First, I highly recommend either fresh or defrosted leafy greens if you don’t have a high powered blender. The frozen tends to get a little chunky. However, for things like cauliflower, broccoli, or even some squash, like butternut, I use frozen regularly. I typically always use frozen fruit because of the cost. 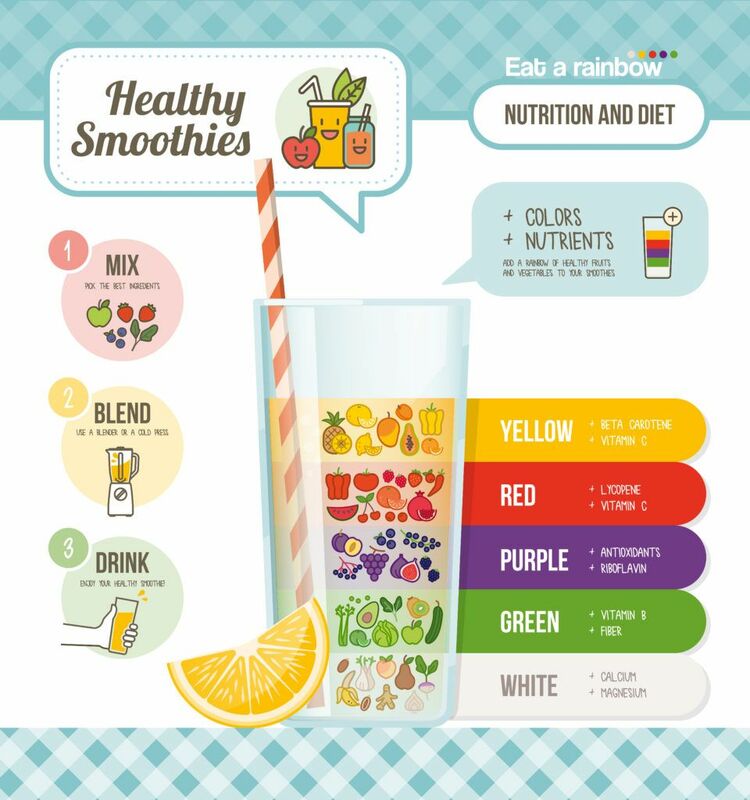 If you use all fresh fruits and vegetables, your smoothie will much thinner and probably require less liquid. In addition, I really enjoy adding frozen bananas. It’s a great way to use up overripe bananas – freeze them and use later! They tend to add a milkshake type consistency. Are veggie smoothies good for you? Yes! They are not only packed with the vitamins and nutrients of the produce. Unlike juicing, they also include the fiber that comes naturally. You can customize your drink to include protein as well so it’s more filling. Can you taste spinach in smoothies? Not if it’s done well. If you’re worries about it, make sure you use sweet fruit like pineapple or mango. Can you blend frozen vegetables in smoothies? Yes! It’s my favorite kind to use. Frozen varieties are much easier to use because you don’t have to worry about keeping them stocked. Just buy the frozen veggies in bulk and you’re good. What vegetables go well in smoothies? I enjoy greens the best, as well as sweet veggies like carrots and peas. Butternut squash and sweet potato make for a creamy drink. But really, any vegetable works well! To make your own, you’re going to need a base recipe. Luckily, I’ve got you covered! If you enjoy this recipe, please remember to rate it 5 stars! This simple veggie smoothie base is the perfect way to sneak more vegetables into your diet! Blend veggies and liquid until smooth. Add in yogurt, fruit, and add-ins. Layer your greens on the bottom. This helps to ensure that they get pulverized first and as smooth as possible. Next, add your other veggies. Both fresh and frozen work well. Top with your fruit. I like fresh bananas and frozen pineapple for the sweetness factor! Top with your liquid – milk for creaminess and protein is what my boy love. Juice and water both also work well. Use strawberries or cherries as your fruits and beets as your vegetable in this smoothie. Omit the dairy and substitute coconut water to get a bright red color! Keep the milk and yogurt of choice and you’ll have a pretty pink drink perfect for a princess. With this recipe, you’re free to stick to just one fruit since the vegetables are naturally sweet. To keep the orange color, try mango or even papaya! Try combining pineapple and banana with cauliflower. You’ll have a sweet, light yellow drink everyone will love. My youngest is obsessed with all things dinosaur. Anytime I make him a green veggie smoothie he gobbles up, “dinosaur juice”. 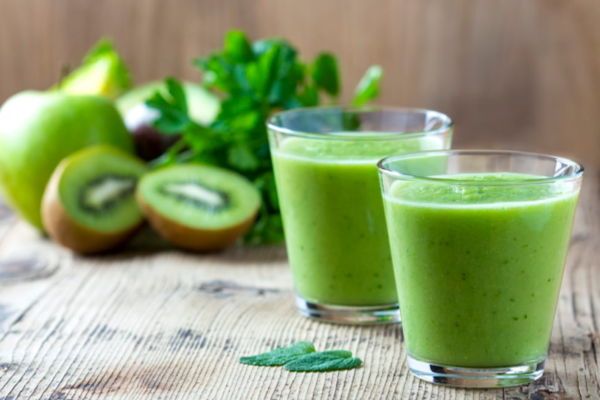 Leafy greens, peas, banana, and pineapple make a great, perfectly sweet drink. We even made a Grinch version for a Christmas Smoothie! For the perfect purple smoothie, try blueberries, greens, and purple sweet potato. If you need extra sweetness, add some pineapple or apple to the mix. 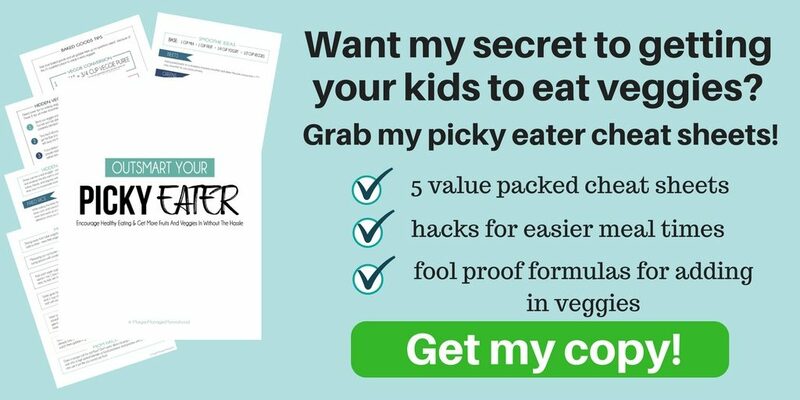 Find recipes, dinner ideas, and baked goods packed with hidden veggies in the Outsmart Your Picky Eater cheat sheets. Getting more vegetables into your diet or the diet of your kids is as simple as breaking out the blender. These tips will get you started on the right track towards putting sneaking in those vegetables!. This is epic! You answered every single question I had about how to get them to taste good enough so that my picky eater will love it. Thank you!!! I have been sneaking frozen cauliflower into my 4 year old’s smoothies, the cauliflower makes it creamier and she has no idea. Win. Win.